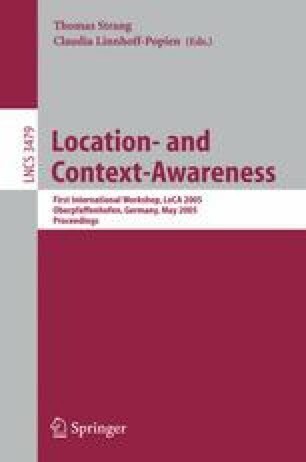 The aim of COMPASS (short for COM mon Positioning Architecture for Several Sensors) is to realize a location infrastructure which can make use of a multitude of different sensors and combine their output in a meaningful way to produce a so called Probability Distribution Function (PDF) that describes the location of a user or device as coordinates and corresponding location probabilities. Furthermore, COMPASS includes a so called translator service, i.e. a build-in component that translates PDFs (or coordinates) to meaningful location identifiers like building names and/or room numbers. This paper gives a short overview on the goals and abilities of COMPASS.